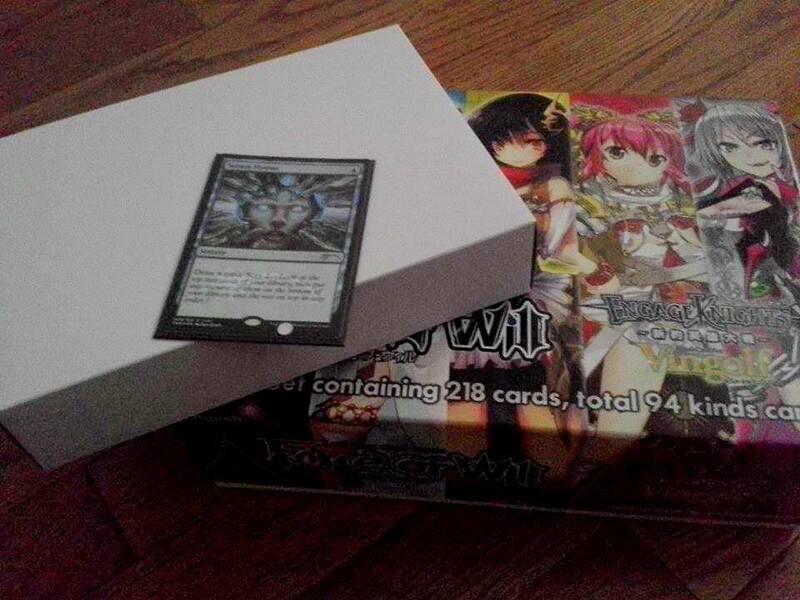 Why did we buy a box of Force of Will? What’s going on here? A long of thing of bizarre, stressful and unforeseen events led to me procuring a copious amount of Force of Will cards today. It all began with going deep into the city to buy singles, where I traded an Emrakul, the Aeons Torn for 2 copies of Mephistopheles, the Abyssal Tryant and a utility mana stone for a friend. I also bought a Cthulhu deck core in exchange for a Splinter Twin. After which we decided to split a of The Moon Priest Returns. The store was offering a discount so it seemed like an interesting idea. 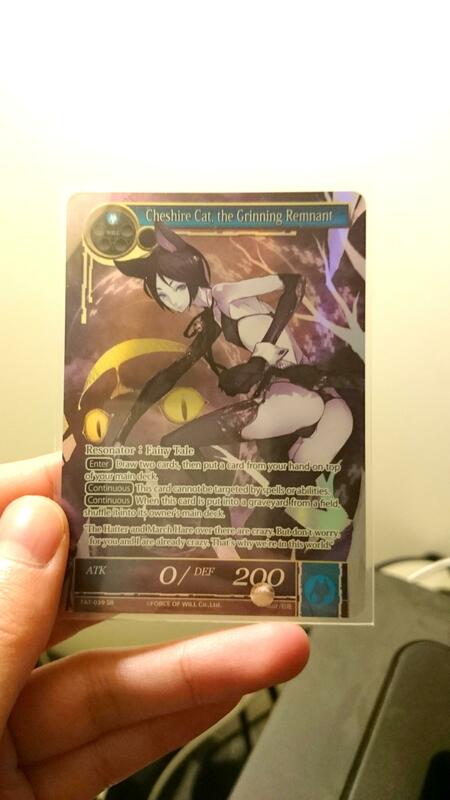 So I only got 1 really valuable card, but one of my friends opened the Tarmagoyf of this game, a misprinted Cheshire Cat. 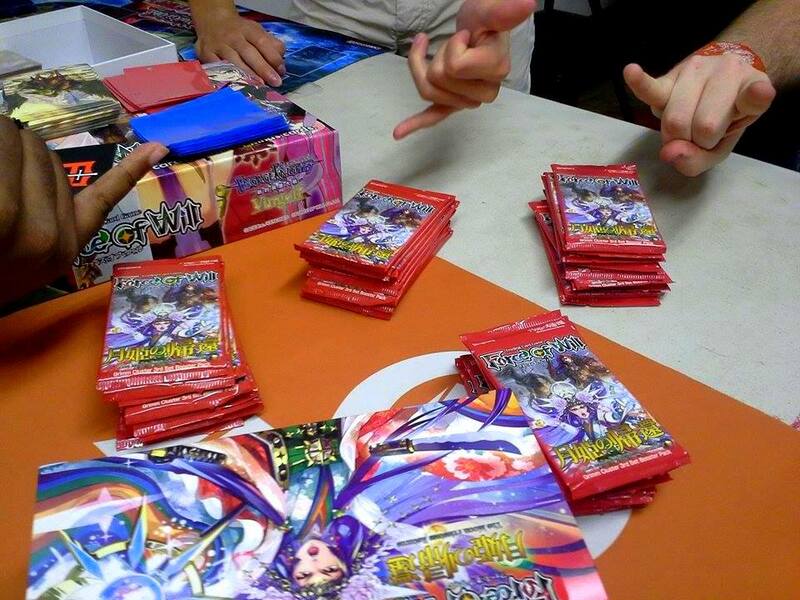 Following the box we entered into a frenzy of trading until each of us had the deck we were making/trying to make. I’m attempting to build Red/Black Vlad Tepes control (that being said I didn’t take any green and focused more on burn/kill spells). 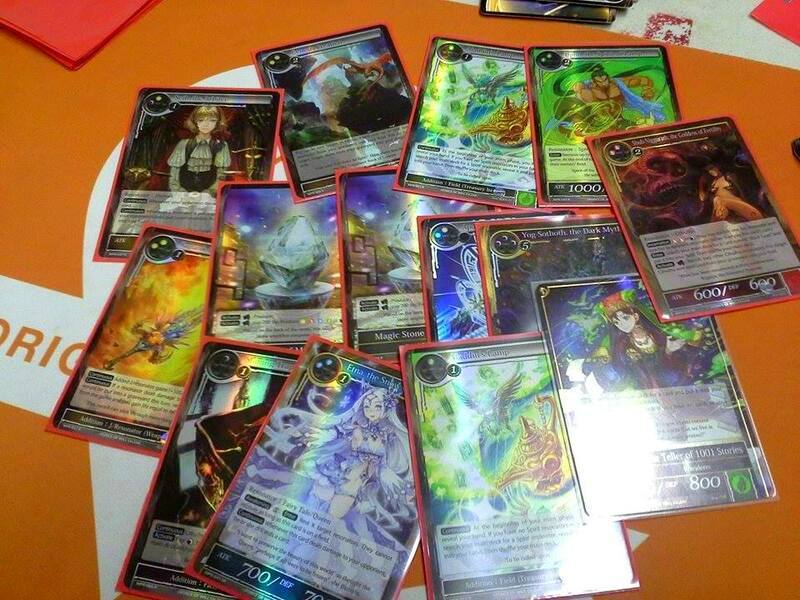 I’m also trying to make Blue/Green Julius Caesar and Mono-Red Alexander/Melgis. Well this game is fun. Honestly, it’s like they took the well tested play style of Magic the Gathering ,the random cuteness of Yugioh and combined them. 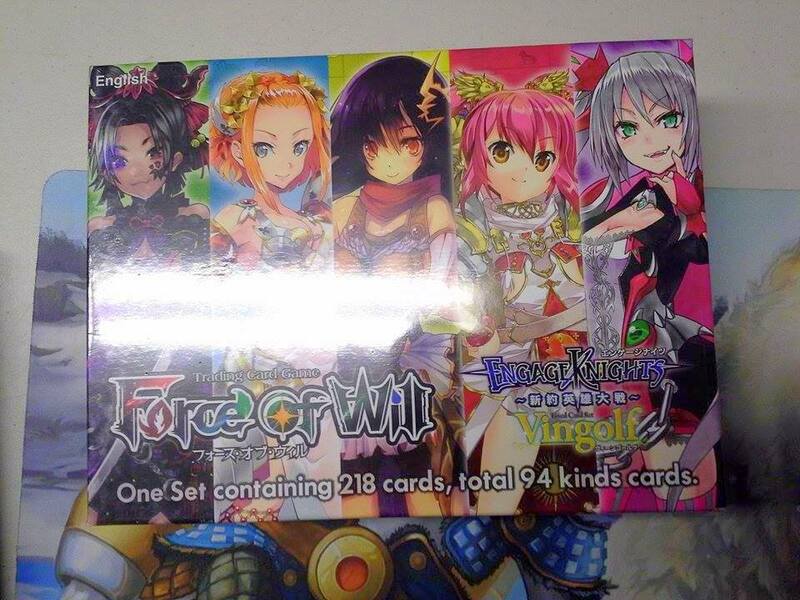 I really wish I started Force of Will sooner. 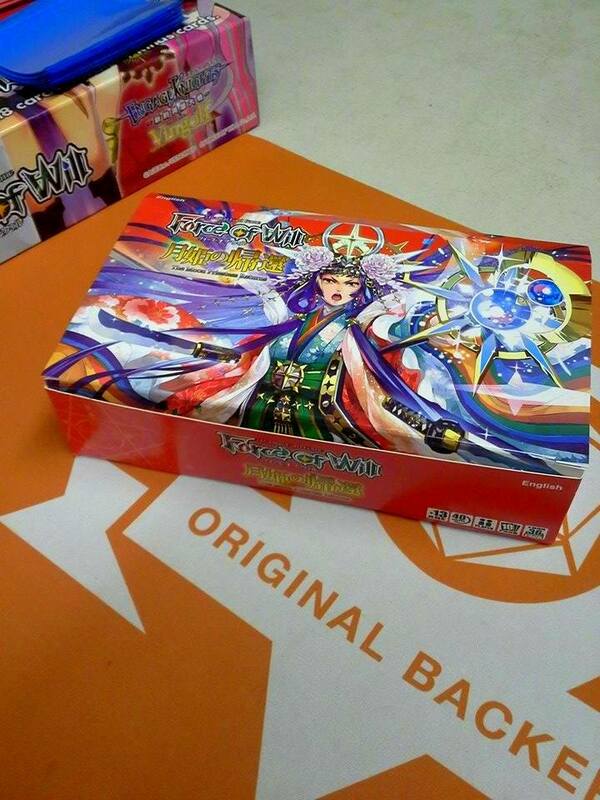 Well I never got a 2nd Vingolf box, so that’s a main goal. I’m just playing Black/Red good things in Vlad, but I’m sure I’ll acquire better cards over time. 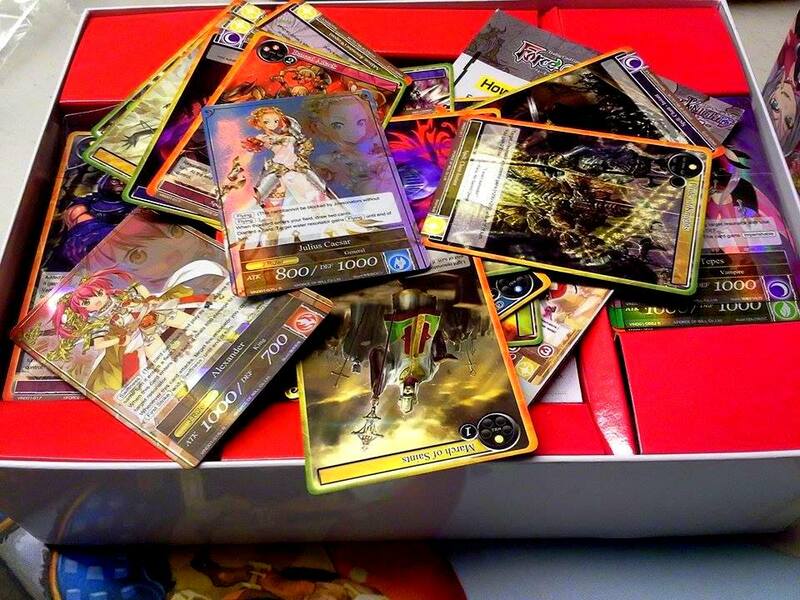 Anyway, splitting a box was a lot of fun and the value of some of these cards is amazing. I did actually go to Eternal Weekend on Saturday. It’s stellar event with more value in Magic cards than I ever thought I’d see. I drafted Magic Origins at the event. Fairly anti-climatic, but I wasn’t confident enough for any Win-a-box events at the moment. I don’t have a picture of my deck for once, but I ran Green/Red with Rogue’s Passage as the key card to sneak in Renowned guys (i.e. Outland Colossus and Rhox Maulers. My most notable pull was pack 2 Abbot of Keral Keep, which I couldn’t resist taking. I’m pretty tired so I’ll just relate the story of this draft quickly. My opponent tried to stall with Claustrophobia, but I won game 1 off of Rhox Maulers regardless. Game 2 I got a really awesome hit off of Abbot finding a Fiery Conclusion to sack another of suddenly claustrophobic creatures to kill one of his. I won soon after. 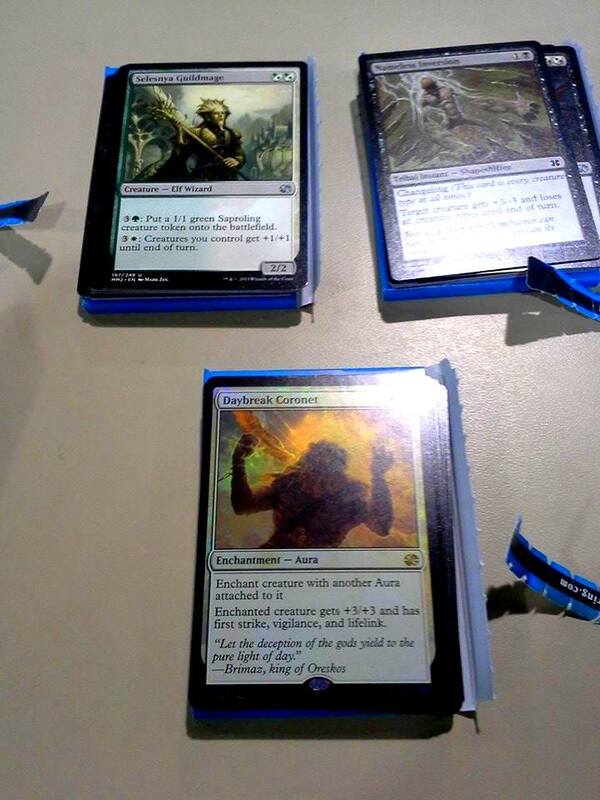 It needs to be said that my roommate got into an hour and half long match with the one guy in the pod to open Jace. As the victor would be my opponent, the other player to reach the finals left to get food before we even got to play. The organizers also started another draft at our table. It was pretty fun in hindsight. I got blown out game 1 by double Titan’s Strength. Game 2 I boarded in Net of Webs to beat his Avaricious Dragon and I actually held it off until we reached a board stall that he quickly won. I’m not salty to lose to my roommate especially when he went on to win the draft. 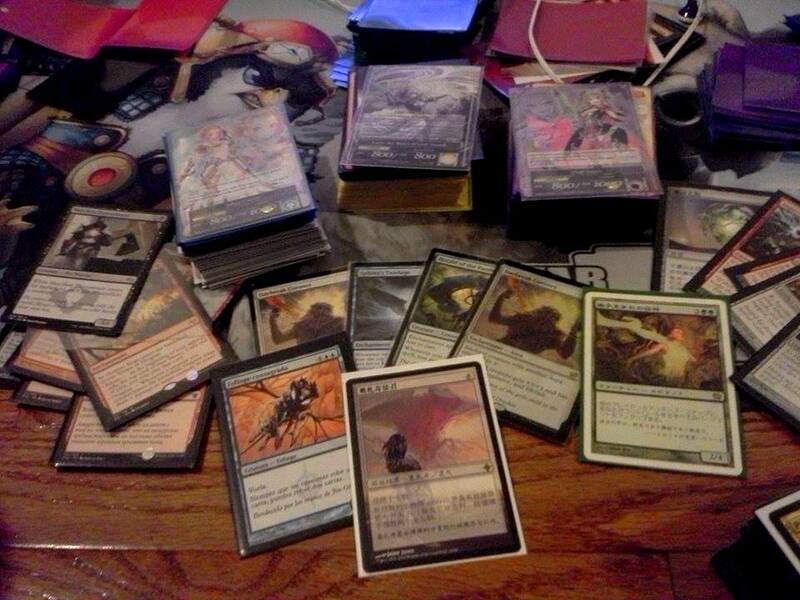 After my loss I wondered the event buying random cards for EDH. 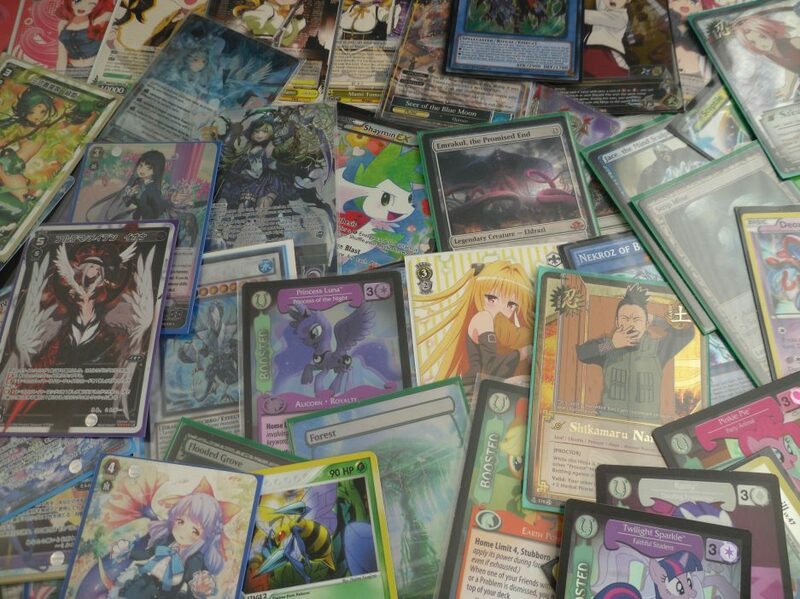 There was a sad loss of the $1 rare box though (instead a far less acceptable $2 rare box existed). 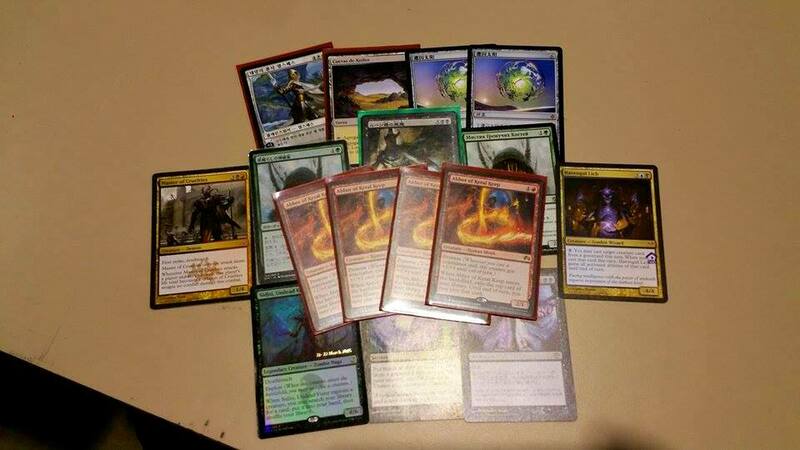 Feeling that the Abbot was a sign, I sold my bulk rares (all of them) to Card Titan and purchased 3 more Abbots, thus making a playset. Standard is now once again a thing. I’m excited to be heading back tomorrow and I hope to find some more deals/enter more events. Yeah, not having Abbot of Keral Keep really got to me. In addition, with Hangarback Walker being splashed in almost everything I was on the verge of siding 4 Smash to Smithereens and would likely lose to Abzan (my worst match-up). Instead I began a strange series of events that lead to incredible happiness and potential profit. It all started when I left work for Eternal Weekend, only to realize that I misplaced my house keys #_# So in order to kill time (until my roommate could save me) I went to my lgs and bought their last copy of From the Vault: Angels at a discount due to the store moving. FTV sets are the Magic Equivalent of every Yugioh Gold Series on a far more refined scale. 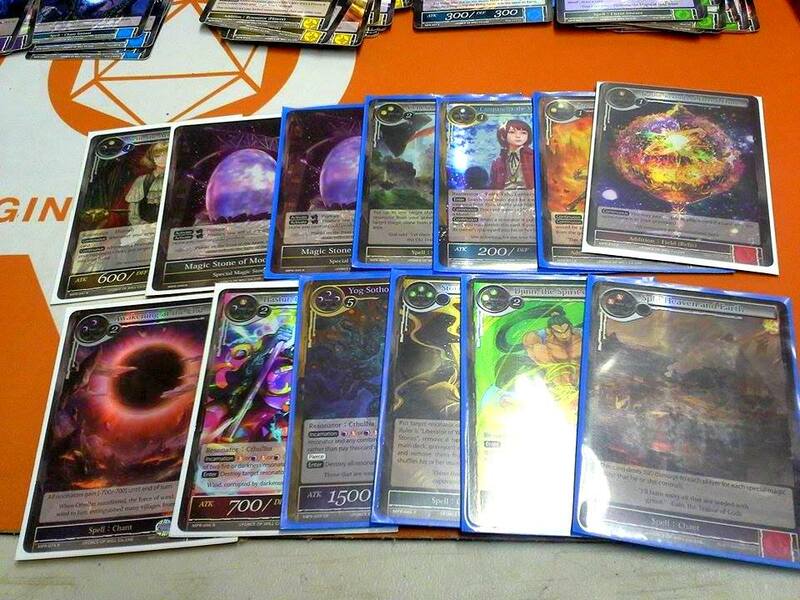 Essentially, FTVs only reprint a small number of highly prolific cards, this set of course having angels. I got the FTV for $32, when its MSRP is $40. I don’t actually own a deck that can play any of these angels though (bar rarity-bumping the Platinum Angel in the now torn apart Daretti, Scrap Savant edh deck). So I’m going to sit on this set for as long as I can before selling it. The FTV is already selling on Ebay for $60. First of all, this is what the set looked like when I opened the box. 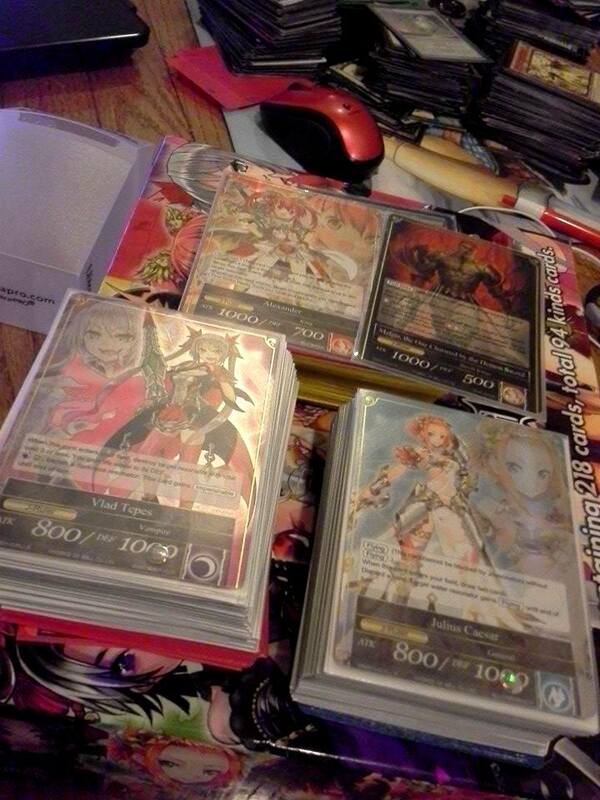 Rather than encase the the cards in plastic wrapping (like normal imo), they just placed a plastic brace around 2 piles of cards. This is the goof because it allowed for the cards to slip out as you can see here. 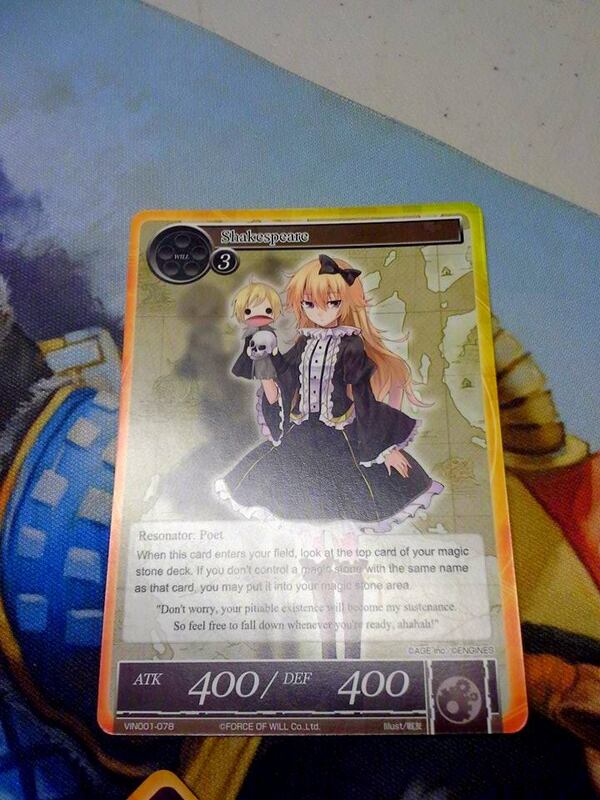 Also this one card (totally not a swamp) came with a worse crease than the MM2 Mirran Crusader I opened awhile back. 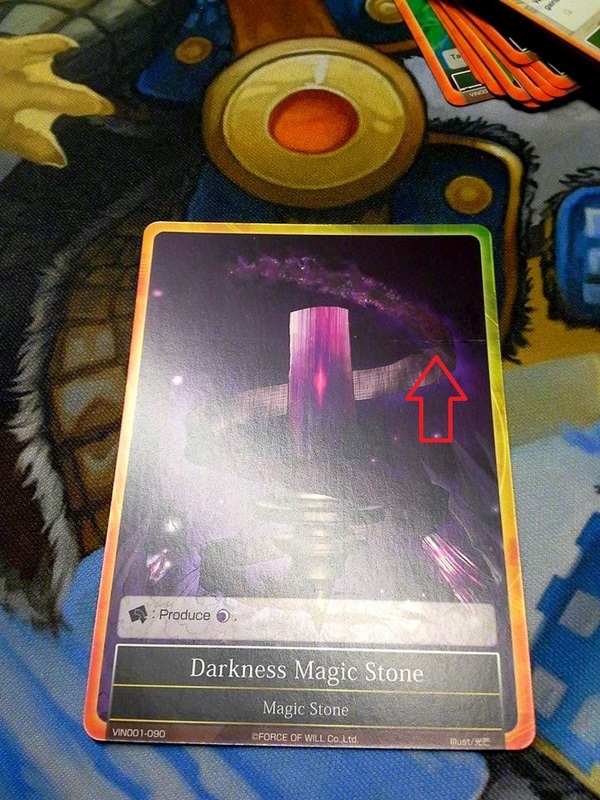 Luckily, it was just a basic land..err mana stone and nothing pricey. However, it’s all good because the cards in this set are hilarious (See above for example) and this game is really fun! 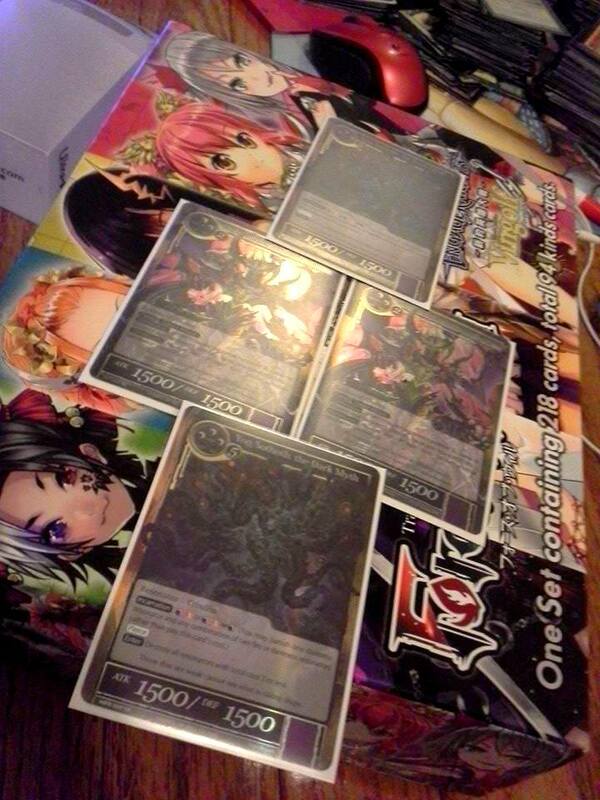 I got into a random match with my roommate after and literally picking our favorite J-Rulers shuffling 2 relevant color piles and just playing in the store. A small crowd gathered to watch us and 2 people even bought the Vingolf set on the spot to get started. It was a really fun experience as both the store clerk and another customer taught us how to play, rulings, etc. And if that wasn’t above average enough I then proceeded to get a turn 7 kill over all my opponents in EDH, along with ANOTHER promo Serum Visions! After which I crashed a free food event on campus before chatting with friends until 2 AM. To make things even more awesome my roommate won a raffle to get his own FTV Angels (a purchase of it at least) and his own 2nd Serum Visions. And that is the story of how I forgot to attend Day 1 of Eternal Weekend and why I don’t even slightly regret it.